Hood River County School District is dedicated to assuring the equality of educational opportunities for all students. 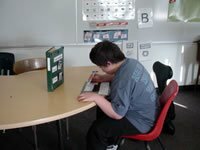 Hood River County School District special education students who qualify for services are assured of a Free Appropriate Public Education (FAPE) with specially designed instruction and related services to meet their unique educational needs. 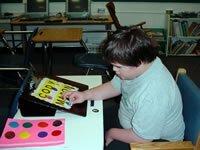 Hood River County School District offers a continuum of services to eligible special education students. This continuum assures that the student will be educated in the Least Restrictive Environment (LRE) possible to meet the student’s unique learning needs. Students will be served in their neighborhood school whenever appropriate. If the student’s educational needs can not be met adequately in the neighborhood school then other options will be provided such as special programs in other schools, day treatment, home tutoring or placement in residential facilities. Special education staff will provide instruction utilizing research-based best practices for students receiving special education services. Staff is provided with on-going professional development to assure students receive the best instruction possible.